Happy Valentine’s Day to all my fabulous Word Press friends! He looked on fabulous monsters, the twin beards and huge beast-bodies of Assyrian Kings, the walls of Babylon. A few months ago, I had the good fortune to move to Old Louisville. As fate would have it, I moved into an apartment on Third Street just four houses down from a house I used to live as a young man during the turbulent 70’s. As a matter of fact, my family actually owned that house and sold it in 1993. Fast forward to 2018. My friend Victoria was looking for an apartment and I have long been encouraging her look in Old Louisville as it was a very interesting place to live with a lot of old Victorian Mansions which have been subdivided into apartments. And there was Central Park nearby. One day she was over at my place and we went out apartment hunting together. She had several picked out over on Fourth Street to look at. It was raining that day so we took our umbrellas. She did and we were able to see it right then. They had just put it on the market and were in the process of cleaning and painting it when we went in. Victoria fell in love with it immediately and I did too. After looking at a couple of other places in the area Victoria decided that the house of pineapples and lions was the one for her, so we called the owner and asked for a meeting. Sure, come on over they said. They told us their address and we headed over. They lived on Third Street, just a few doors down from where I am currently living. What was that address again, I asked Victoria? 1461? Why I used to live in that house back in the 70’s. As a matter of fact, my family owned that very building back then! When we got there and knocked on the door a little old lady round and short answered the door. She had a big smile on her face. I introduced myself and told her I used to live this building back in the 70’s and wasn’t it ironic that we were here? Oh, did you know Dr. Bell? Why yes! I am his son! We sat down and had a nice talk. Joe and his wife Arden bought the house in 1993 from my parents. At that time, I was part owner of the house myself and received some of the proceeds from the sale. Arden gave us a tour of the house. I bet it looks a lot different now than it did then, she said. Yep It sure did! So, there we were. My friend Victoria was about to rent an apartment from the couple who own the house I used to live in but was sold to them in 1993 the same year Victoria was born. What kind of alignment of the planets was necessary to bring us to this point? By what chance occurrences was Victoria destined to cross my path and rent the apartment in the building of the lions and pineapples? It put me in mind of a story I once heard when I was living in Philadelphia. It seems there was this college professor living in my building who sent his servant to the Italian Market one day for supplies. In a very little while the servant came back, shaking and trembling. It was clear he had been greatly disturbed by something that had happened at the market. And although chance may have something to do with our lives and though we make a move this way or that we are still bound like an ant on a leaf rushing down a river to the sea. And there is precious little we can do about it but enjoy the ride. Victoria rented the apartment and she is living there now just one block away in the building of the lions and pineapples. And if you squint your eyes and hold your mouth in a certain way you can almost see the flapping wings of the butterfly in the rain forest that made it all possible. What mystery lies beneath the mist enshrouded tombs? There never was such a season for mandrakes. Shall we linger here until perdition caches up to us? Sob heavy world, sob heavy. There are a million stories in the semi-clad metropolis and this is one. 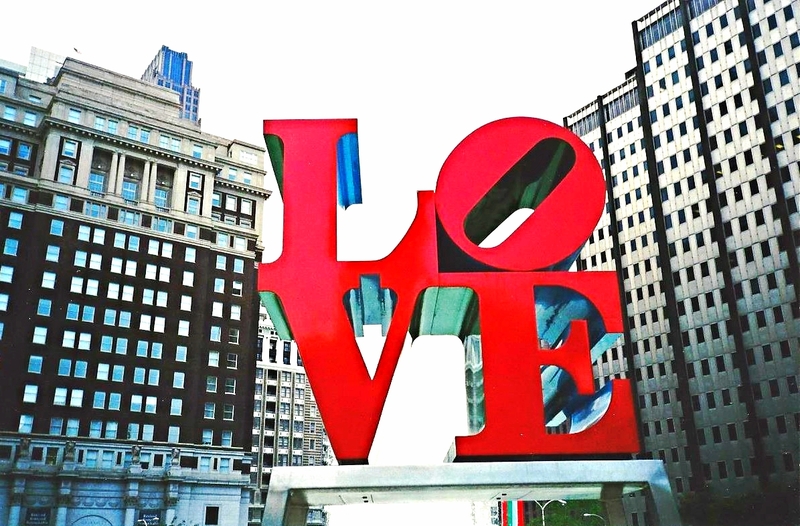 Philadelphia is a city of neighborhoods, and in each neighborhood there is a distinctive culture or ethnicity. Each neighborhood has gradually become more mixed and diversified. In South Philly you have the Italians, in Fishtown the Irish. West Philly and North Philly are predominantly black. In Center City you see the greatest diversity, but it too has its own characteristics. In Kensington, where Tony’s Way is located, it is mainly Spanish, as in Puerto Rican. Tony’s Way is a little Puerto Rican bar nestled below the elevated Blue Line in Kensington. I lived in several different neighborhoods in Philadelphia. For a while I lived in Fishtown in a little house across from the Palmer Cemetery. Fishtown is a neighborhood that adjoins Kensington. I would sometimes walk over to the Blue Line to take it into town. On the way back home when I arrived at my stop and descended the steps from the “El” I would find Tony’s Way beckoning to me in the darkness. So one night I hustled there inside. I stepped inside of the brightly lit cantina and immediately was blasted with the sound of Latin music blaring on the jukebox and uproarious laughter. The joint was juking and very colorfully decorated with tinsel and streamers and signs of various descriptions. Very festive. The bar was in the center with seating all around. Behind the bar were a pair of barmaids in cut off jeans and tank tops. I stepped up the the bar and ordered a shot of tequila and a Corona. That was what everybody else was drinking. I had a couple of rounds then stepped back into the night and walked home. Since Tony’s Way was right on my way as I walked back and fourth from the El, I started to become a regular. I would go over in the afternoons sometimes and on the weekends. One day I was in there having a beer and a shot when Tony walks over to me and introduces himself. He gave me a broad smile and stretched out his hand which I took. He had a strong grip. He smiled again and patted me on the back and strolled off to greet the other customers. That was how it was at Tony’s Way. One Friday night I walked over for a little entertainment and to see if there might be some Puerto Rican girls just dying to meet me. There was line to get in. So I queued up and waited my turn to be let in. As I was waiting I noticed there were a couple of bouncers at the front door. They were frisking people, as in patting them down for weapons, before they were allowed in. Now this wasn’t too unusual for Philadelphia so I didn’t think too much of it at first. When It came my turn they just waved me in. So I entered the establishment and walked around the bar to the other side so I could keep an eve on the door. I ordered my usual: A shot of Jose Cuervo and a bottle of Corona with a lime wedge. I got to noticing the way the bouncers were frisking the patrons. A guy would step up to the door and they would frisk him and then they would wave him on in. A couple of girls would step up up and they would get waved through. A guy come in gets frisked. The girls get waved through. As I’m watching this it slowly begins to dawn on me, hey! Wait a minute, I didn’t get frisked. What’s up with that? They must not have thought I was dangerous enough to frisk. Now in Philly, it’s not enough to look tough. You got to look dangerous too. So this was beginning to bother me a bit and I was feeling a little slighted if not insulted. I turned to my fellow barfly sitting next to me and relayed my tale of woe to him. He said, relax, they probably just know you. Ohhhhh! Yeah! I never thought of that! Well, I felt a whole lot better then and enjoyed the rest of the evening. I moved away from Philly a short while after that incident. First to Trenton then back home to Kentucky. It’s been about 10 years since I had been to Tony’s Way, but I always had fond memories. The first thing I noticed was the sign was down So I was’t sure if it was still Tony’s Way or not. I stepped into the bar from the bright sunlight and waited a few moments for my eyes to adjust to the light. I sat down on a bar stool and ordered a shot and a beer. I looked around and things looked pretty much the same. It was early afternoon so not too many people were in there. My eyes came to rest on a familiar character who was sitting across the bar from me reading a newspaper. I finished my drink and walked around the bar and approached the man reading the paper. I explained I had family there and that was my home state, but he couldn’t get over the fact that I moved to Kentucky. “Kentucky?!! !” Then she started to laugh. She moved away from us and took another customer’s order who had just sat at the bar. And she told them what Tony had said and they laughed. Then the people sitting next to them started laughing and shouted, “Kentucky!” when they laughed. And pretty soon the whole establishment was laughing and shouting Kentucky! And no one was laughing more than Tony and me. But after a few minutes the laughter eventually died down, but it did not die down entirely for a long time for always at this table or that a new area of laughter would begin. I drank free that day. Of course I suffered the next day from a hangover. But it was definitely the best day of my trip. Don’t misspell her name Buddy she’s the one that got away….